HIS R9 290X iPower IceQ X² turbo features iPower carries more voltage, more overclocking, IceQ X² is cooler and quieter. 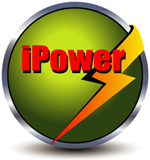 iPower design allows the card to carry more voltage, expanding overclocking capability to a new level! Turbo cards are faster than regular cards! The card is bios-overclocked out of the box with 1040MHz / 5400 MHz core clock and memory clock respectively, offering the performance edge for gamers! With IceQ X², the card is cooler than the reference cooler. 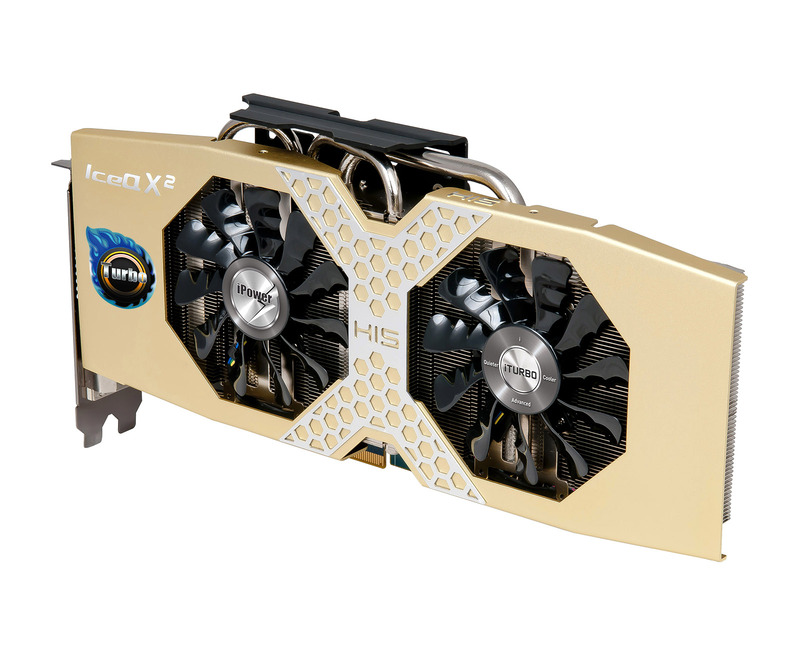 IceQ X² is one of the quietest coolers, making the card quieter than the reference cooler. The card is below 28dB when watching movies, surfing Facebook, working. 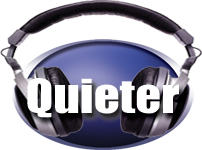 The card remains quiet whether you are gaming, online socializing, entertaining or working. The super large 2x 89mm dual axial fans draws massive amount of cool air to cool the GPU directly. The Q&C fan blade increases air velocity make cooling more efficiently while keeping noise level at minimum. The fan is extremely durable with a life span of up to 50,000 hours. 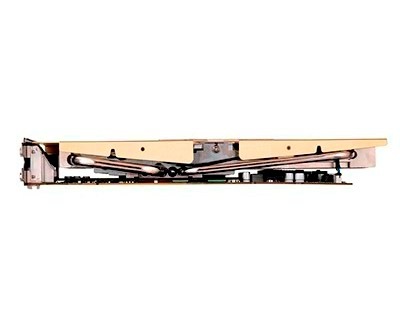 The 2x 8mm and 3x 6mm wide heatpipes optimize cooling performance by removing heat from the core area. 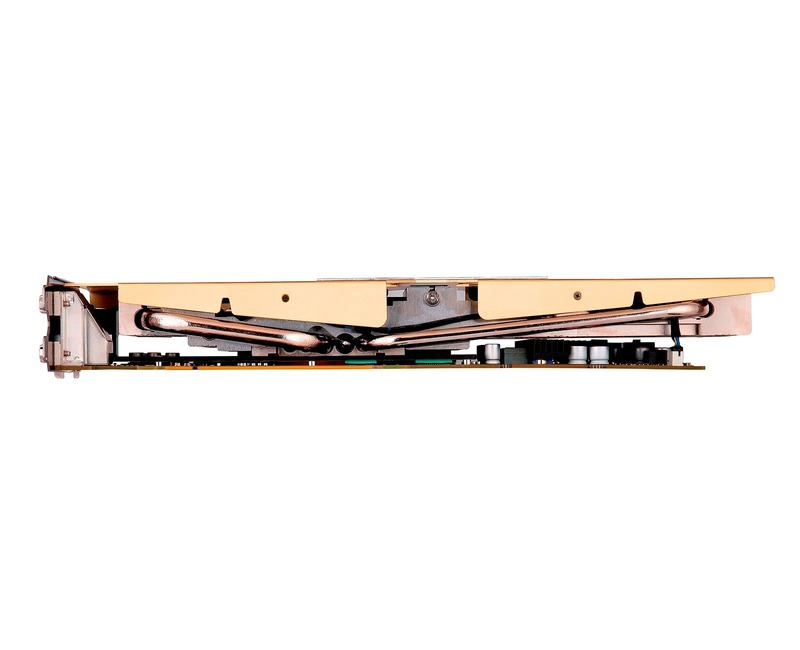 The extra large 40x47.5mm copper heatsink provides a large area to dissipate heat efficiently. The new black handle makes you easy to carry the card. The card also carries memory and mosfet heat sinks to provide extra heat dissipation from these areas. The card also features fan control and monitoring, you are able to read fan speed & Asic temperature from iTurbo or other softwares. The backplate designs to reinforce PCB, keeps PCB more long lasting and not easy deforming. 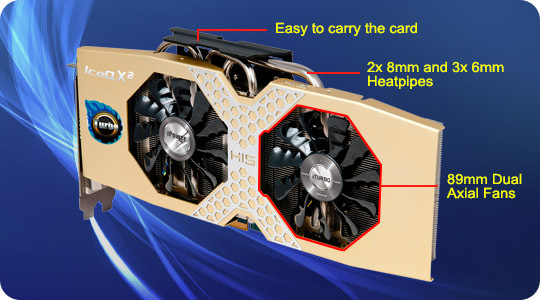 The card is armed with 2x Crossfire Connectors and is ready for up to 4-way crossfire for strengthened performance! 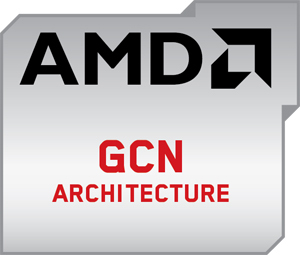 With AMD 2nd generation GCN technology, the card optimizes DirectX® 12 gaming performance automatically up to 2.5 times faster! It also offers up to 4.5x compute performance and up to 95% lower GPU Idle Power Consumption! The card enables a “quality graphics” experience on everyday applications, giving huge performance boosts on image processing, file compression, media converter apps, and a lot more! Set up Eyefinity on 3 displays with No ACTIVE DisplayPort Adapter is needed. 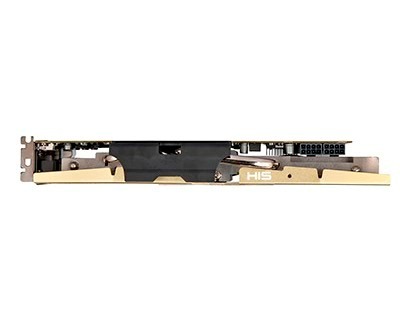 Armed with the latest PCI-e 3.0 bus design maximizes performance by delivering double bandwidth per lane of PCI-e 2.x. Paired the card with the latest platforms and get the ultimate performance! The new architecture of the card gets more usable processing power for your money, enabling better frame rates in the latest games at high resolutions. 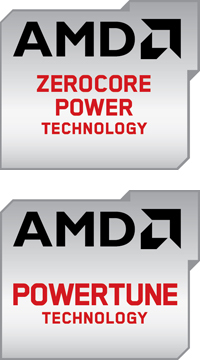 In addition, with AMD ZeroCore Power & AMD PowerTune technologies, you can optimize the balance between performance and power consumption of your system by adjusting the engine clock during runtime of the card. Manage the power and keep your wallet loaded! 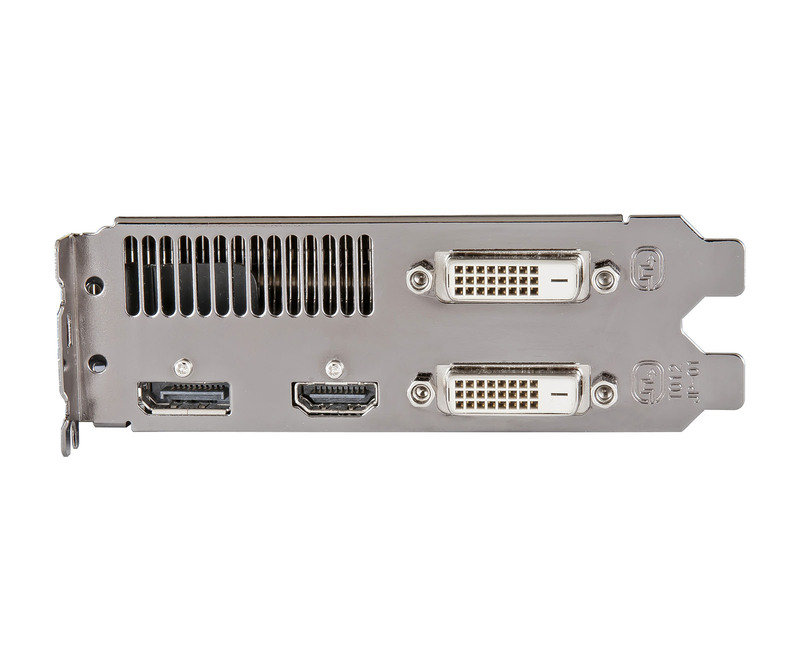 The card supports 30” LCD monitor and any large size TV up to 80" feature with 16:9 ratio in amazing 4096 by 2160 resolution. Up-scaling your computer into a multimedia center with the biggest display! With Full HD 1080p support, the card delivers high quality 1920X1080 graphics, enabling seamless full-screen video playback. 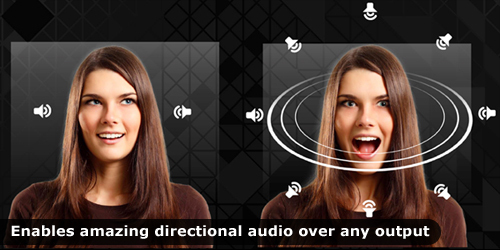 See HD, hear HD and feel HD - Enjoy the beautiful graphics now with the card! The card is HDCP complaint, enabling users to play copy-protected content, such as commercial DVD movies. 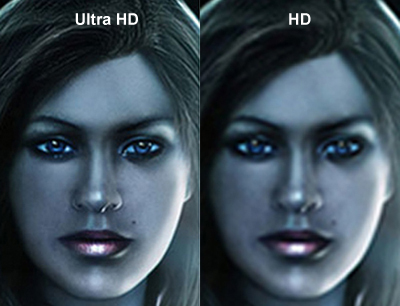 ULTRA HD videos have resolution four times that of current HD videos, meaning images too clear that may deceive your eyes! With the card, you are set for getting the movie theater experience to your home. You may be able to watch a video shooting the Eiffel tower and zoom it in to see your friend’s face clearly from the top! Get your eyes impressed and enjoy mind-blowing graphics with extreme clarity, depth and texture! The card is capable to turn your computer into a super gaming machine. Enjoy the latest 3D games with stunning graphics and effects that your enemies cannot match! Get an immersive experience with AMD Eyefinity! Having one dedicated screen just for twitter or Facebook and a second for outlook is not a dream anymore. 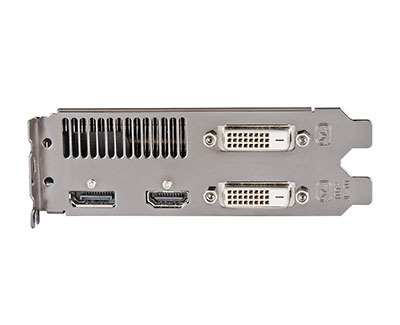 The card features a DisplayPort for enhanced workspace flexibility. You can easily connect to the 27” Apple LED Cinema Displays with the DisplayPort. 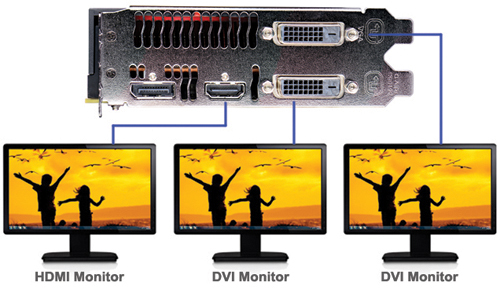 The dual-link DVI port allows you connect to a 30” DVI display up to 2560x1600. Resolution can even reach 4096x2160 with HDMI® , good for TV up to 80"! 500W (or greater) power supply with one 150W 8-pin PCI Express power connector and one 75W 6-pin PCI Express power connector recommended. 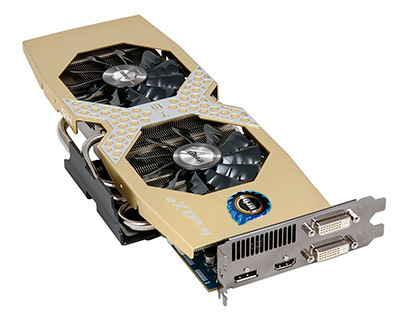 NOTE: Minimum recommended system power supply wattage is based on the specific graphics card and the typical power requirements of other system components. Your system may require more or less power. 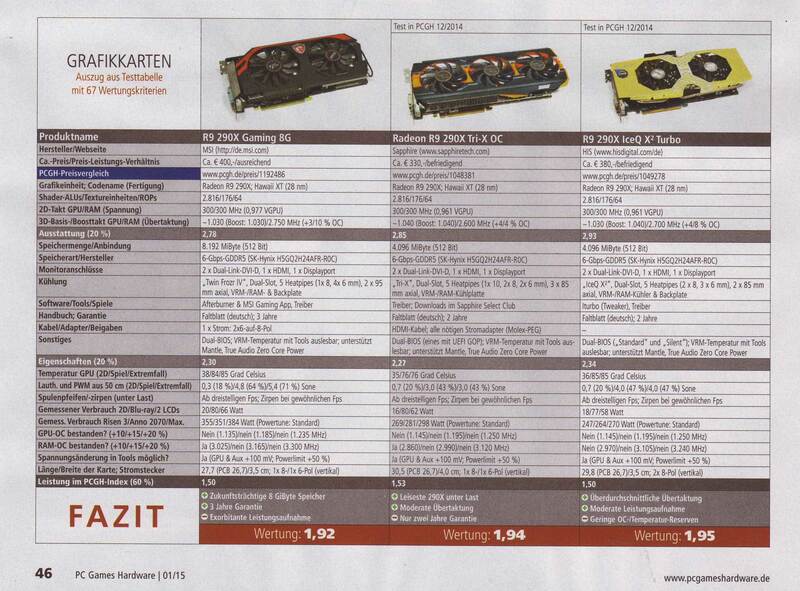 OEM and other pre-assembled PCs may have different power requirements. Not for industrial or commercial use. 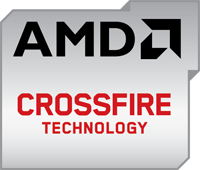 See AMD FirePro™ Graphics solutions for these applications. I have been testing graphic cards and reviewing graphic cards for almost 20 years now. I really do have to say, I have not had the pleasure of trying this card(HIS R9 290X iPower IceQ X² Turbo 4GB GDDR5 PCI-E 2XDLDVI-D/DP/HDMI) But if it is all correct and lives up to the specifications and design that I am seeing. There is no doubt that this can/will be one of the TOP cards on the market for the regular and professional consumer. Hopefully One Day I can prove myself correct on my statement. HIS company, Congratulations on building a graphics card with these great specifications and on very sleek and beautiful design. Good Luck in the future I hope to use one someday very soon! 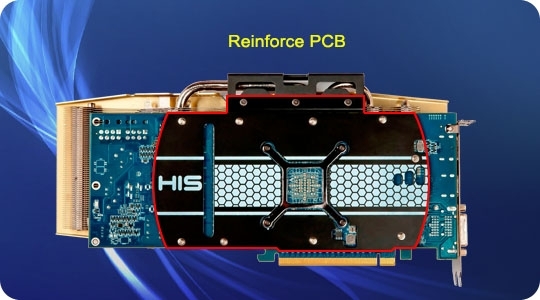 “The HIS R9 290X iPower IceQ X2 Turbo card features a proven 2-fan cooling system and is overclocked from the factory; the custom PCB ensures stability, better overclocking potential and the card should run fine games up to 2560x1440 with medium to high detail levels. "The HIS R9 290X iPower IceQ X2 performed great across all our testing and proved to be a worthy contender in the crowded R9 290X market. As far as pricing goes, this exact same card without the factory applied overclock sells for $509.99 at Newegg, so I’ll venture to say you’ll see anywhere from a $20 to $30 premium added for this overclocked version. That would make the final price very attractive and certainly one of the least expensive R9 290X offerings with a factory overclock on both the GPU and memory. The gold colored shroud and the unique grab handle give the card a look that will stand out from other manufacturer’s offerings. Just under that gold colored shroud is the IceQ X2 cooler, which does a great job of keeping the card cool at a very low noise level. 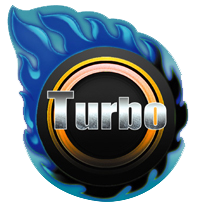 Overclocking proved easy to accomplish using the HIS iTurbo utility, especially with the ability to adjust GPU and memory voltages. Provided you have good case cooling, the card should run happily at roughly a 15% overclock. So, in the end, we have a great performing card that should be available soon at an attractive price." 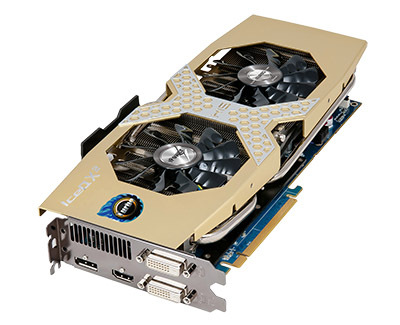 "The overall value is very good on the card thanks to the strong overclock from HIS. 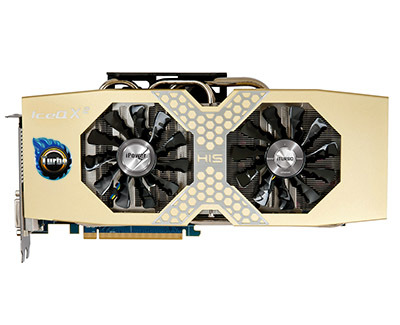 The strong overclock with the improved power delivery system and the bigger dual 8-Pin PCIe power connector setup means that we're also dealing with a custom R9 290X 4GB, which again adds even more value to the card." 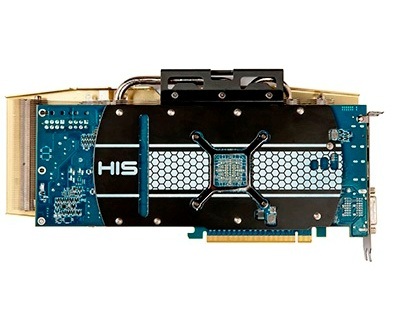 "The HIS R9 290X iPower IceQ X2 Turbo 4GB is an extremely strong R9 290X 4GB and even stronger video card. The custom power design, along with the strong out of the box overclock all placed under the fantastic IceQ X2 cooler, makes for a truly awesome video card from HIS." 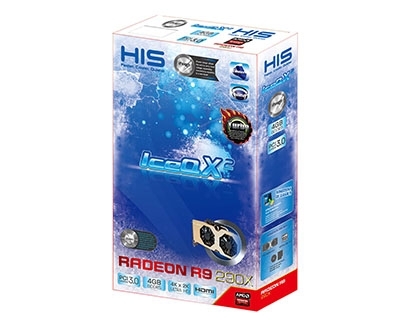 "The latest AMD graphics cards on the other hand don’t work quite as well with the reference cooler, the water-cooled R9 295X2 being the exception.Radeon R9 290 series graphics card is board partners like HIS are here to save the day. Even if you decide to overclock the hell out of them, temperatures remain well under what we saw from the AMD reference cards, which is very impressive given the voltage has been increased and throttling has been removed. When it comes to overclocking, these HIS OC and Turbo cards aren’t particularly impressive out of the box, HIS has applied very minor factory tweaks that barely qualify as overclocks. 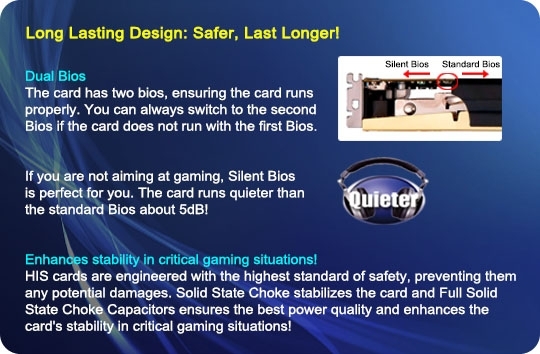 However this doesn’t mean the cards are weak overclockers, it just means HIS has left the hard/fun part up to the gamer. 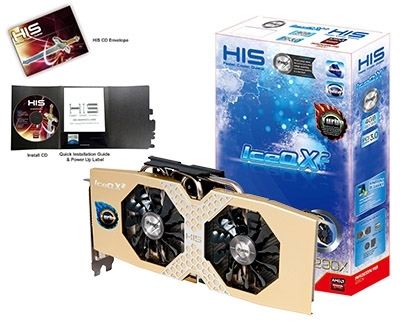 Both the HIS R9 290 iPower IceQ X² OC and the R9 290X iPower IceQ X² Turbo run cooler than a GeForce GTX 770, and better yet they are whisper quiet. 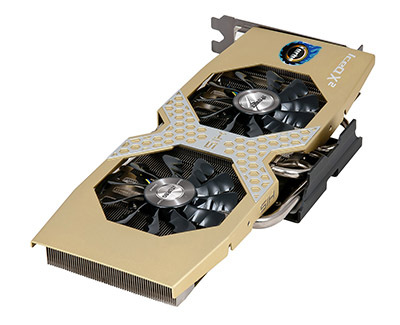 Overall we are impressive with HIS’s golden R9 290 series graphics cards. 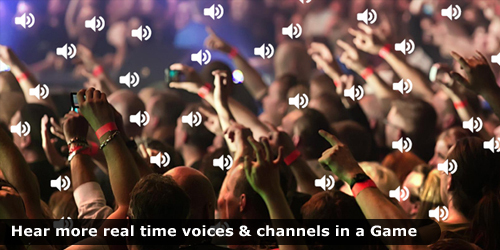 They provide excellent overclocking performance that won’t compromise cooling performance or operating volumes. "